Wow! 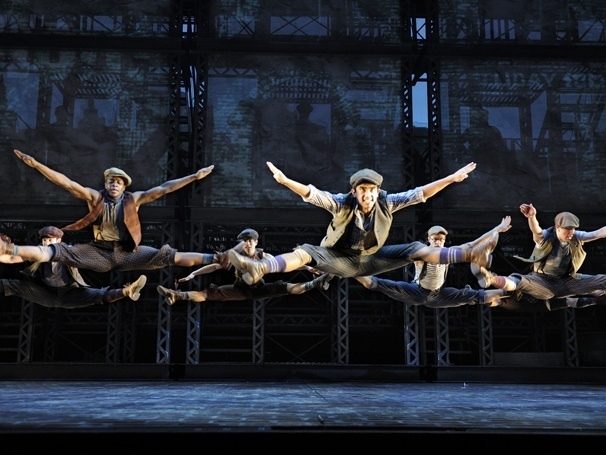 A palpable hit, Newsies exudes charm, flair and lashings of male energy that are bound to ensure a run far beyond the limited season currently advertised. After the relative disappointments of Tarzan and The Little Mermaid, Disney are back on top with this slick adaption of their 1992 movie, a long term cult favourite amongst music theatre cognoscenti. 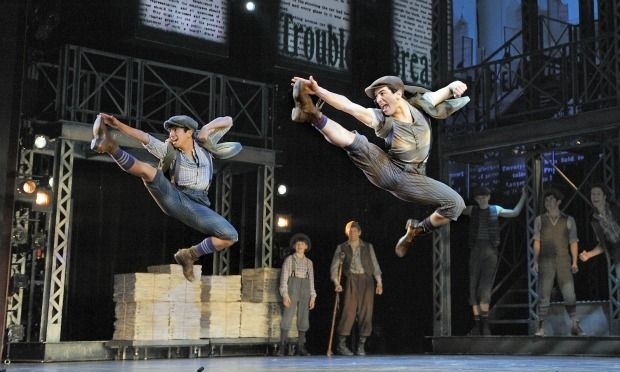 The term ‘showstopper’ is often bandied about but Newsies has a handful of company numbers that certainly do stop the show with the sort of extended, enthusiastic applause usually reserved for curtain calls. The rousing song and dance numbers are tempered with some heartfelt ballads, the whole score by prolific Alan Menken, partnered by lyricist Jack Feldman, being entirely enjoyable and instantly accessible. There is not a weak link in the production, with each of the creative elements contributing top notch work to the cohesive whole. The cute, one-liner filled book is from the experienced, acerbic pen of Harvey Fierstein. With a set of adults as uniformly villainous as those in any Enid Blyton novel, the dramatic stakes are well maintained and the happy ending is hard won. 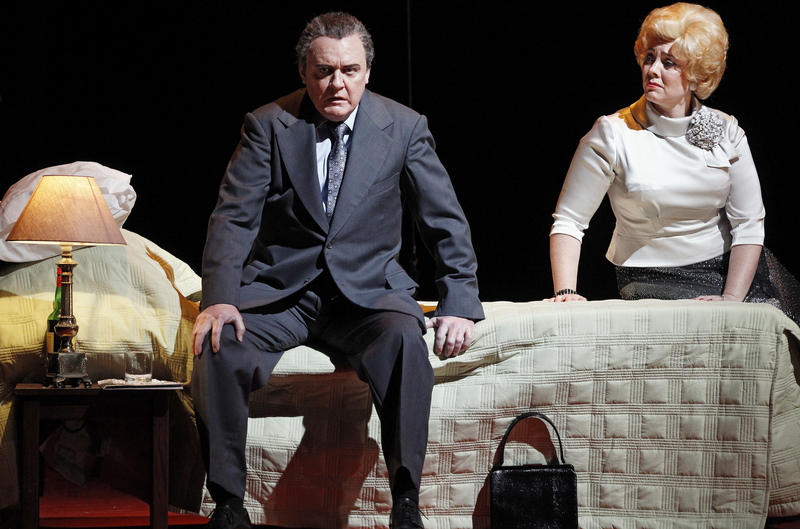 Jeff Calhoun’s direction is a masterclass in constant movement and the art of pinpointing audience attention. 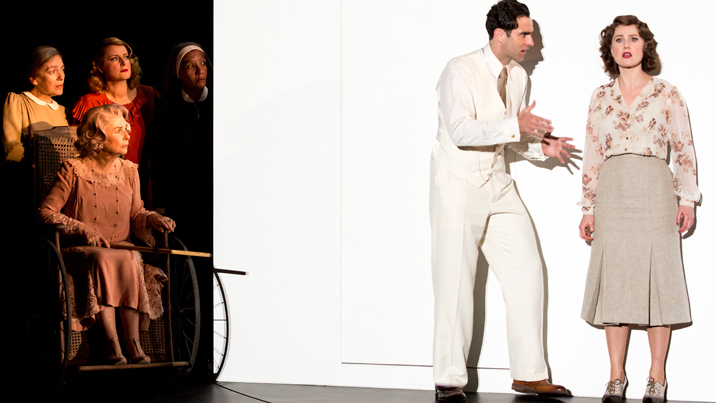 Choreographer Christopher Gattelli, in his biggest Broadway dance show to date, establishes himself as the new master of the production number. 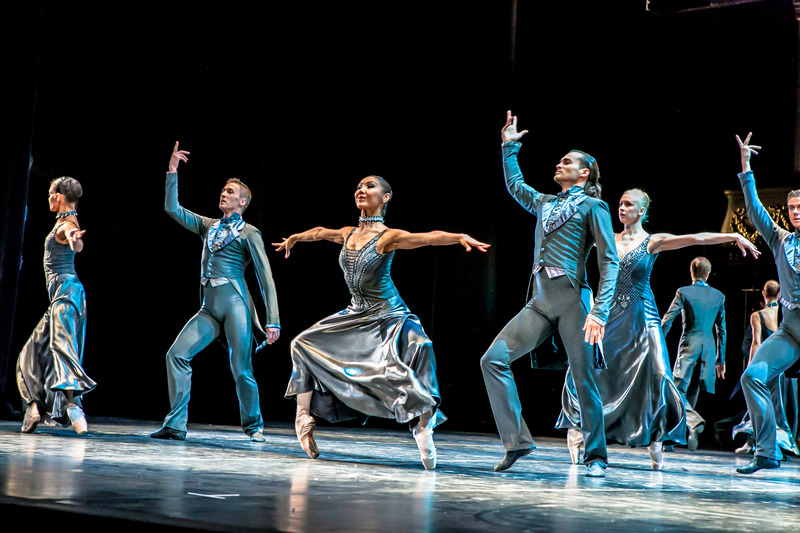 The boys jette, pirouette, tap and slide in routines which are intelligently and wittily built, with integrated use of props to rival the great Susan Stroman. Tobin Ost’s brilliantly realised, giant set features a trio of three story metal constructs and two smaller units that spin and slide into place, creating the slums, offices and vaudeville theatres of 1899 New York. Pull down screens display projections that are at their cleverest when animated to show typing or sketching that is happening on stage. Lighting adds to the gritty texture of the industrial appearance of the sets. Jess Goldstein’s masterstroke with the costumes is to dress the females in fantastical technicolor to contrast against the greys and browns of the multitude of boys. 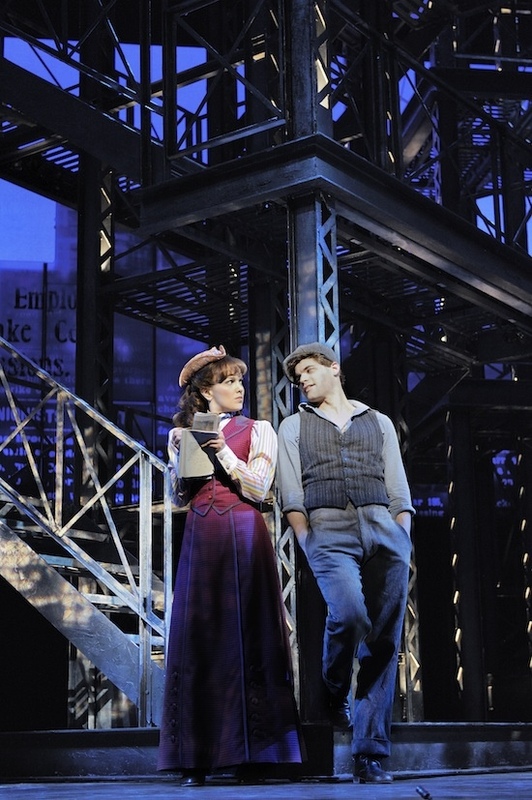 To watch Jeremy Jordan is to witness the birth of a Broadway superstar. Well, not strictly the birth given that he starred in the short lived Bonnie and Clyde but this is the role that will cement his star, which is sure to shine for many years to come. The definition of charisma is the appearance of a lack of effort and by this measure Jordan has charisma to spare. He sings, acts and dances nonstop without so as much as breaking a sweat, and he has the rare leading man charm of doing all that dancing and singing while projecting masculine ruggedness. Kara Lindsay, pretty as any Disney princess, is a lovely leading lady. Terrific singer Capathia Jenkins is all warmth as vaudeville star Medda Larkin. As newspaper publisher Joseph Pulitzer who causes the newsboys’ strike, John Dossett plays the bad guy straight, avoiding any hint of melodrama. 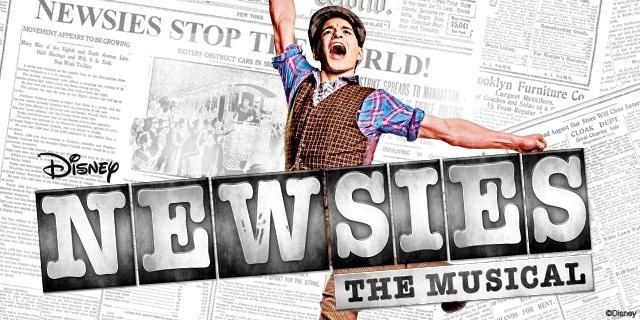 Book your ticket to Newsies as soon as you book your flight to New York, although we will surely see it Australia before very long at all. 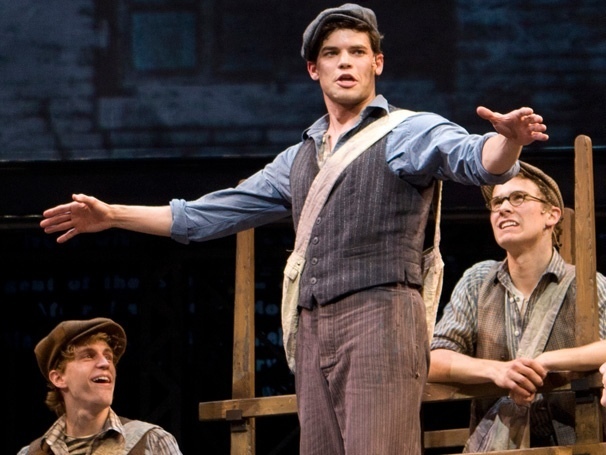 ps am I the only one who finds it amusing that lead character Jack Kelly dreams of going to Santa Fe, the same place that previous long term Nederlander Theater residents Mark and Roger dreamed of going in Rent? Newsies plays an open ended run at Broadway’s Nederlander Theater. Reviewed 1pm Sunday 9 April 2012 at Nederlander Theater, NY.